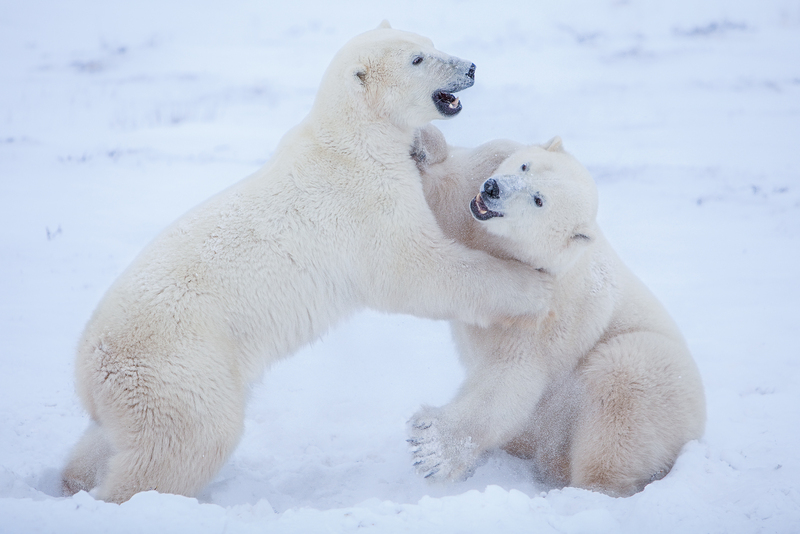 These two polar bears fight as part of the training and to pass time as they wait for the ice to come into the Hudson Bay. Brothers do what brothers do. Photo © copyright by Lance B. Carter.